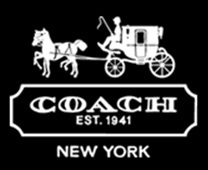 Indianapolis; IN – The Southern District of Indiana has issued a partial summary judgment in favor of Coach, Inc. and finding that Teresa Barnes, the owner of a Muncie store, had committed trademark infringement and counterfeiting for the sale of knock-off Coach goods. In April 2011, trademark attorneys for Coach, Inc. and Coach Services, Inc. of New York, New York, had filed a trademark infringement lawsuit in the Southern District of Indiana alleging that Chaos of Muncie, Chaos on Campus, LLC and Teresa Barnes of Muncie, Indiana have been offering for sale and advertising Coach knock-off products. The complaint alleged that in February 2011, the store was offering for sale fifty-five Coach knock-off items including flip-flops, handbags, wallets, and sunglasses. The complaint made claims of trademark counterfeiting, trademark infringement, trade dress infringement, false designation of origin, false advertising, trademark dilution, copyright infringement, common law trademark infringement, common law unfair competition, forgery, and counterfeiting. We blogged about the case here. In the court’s decision granting summary judgment, it noted that Coach had requested summary judgment and Ms. Barnes had failed to reply. The court then reviewed the elements of trademark infringement and counterfeiting, found there was no factual dispute and found that the Coach should be granted summary judgment on the issue of liability. The court has ordered Coach to submit evidence on its damages. Practice Tip: As the court noted, “A corporate officer, director or shareholder is, as a general matter, personally liable for all torts which she authorizes or directs or in which she participates, even if she acted as an agent of the corporation and not on her own behalf.” The court also noted that “an officer of a corporation can be personally liable for trademark infringement if the officer is a moving, active conscious force behind the defendant corporation’s infringement.” Citing Bambu Sales, Inc. v. Sultana Crackers, Inc., 683 F.Supp. 899, 913-14 (E.D.N.Y.1988). In this case, the court held that Ms. Barnes is personally liable because she was the sole owner of Chaos and managed all of the store’s business decisions.